The amazingly huge hit, Fallout: New Vegas has sold over five million copies since it launched last month for the Xbox 360 and Playstation 3. And now that massive amount of wasteland wanderers will have a new adventure to take on as Bethesda has announced the first in what I assume will be a long line of quality (if Fallout 3 is any indication) DLC, Dead Money. Dead Money will be released December 21st for 800mspts, no word yet on PSN version. Bethesda Softworks®, a ZeniMax® Media company, today announced that Dead Money, the first downloadable content for Fallout®: New VegasTM, will be available exclusively on Xbox LIVE® for the Xbox 360® video game and entertainment system from Microsoft beginning December 21st, 2010. 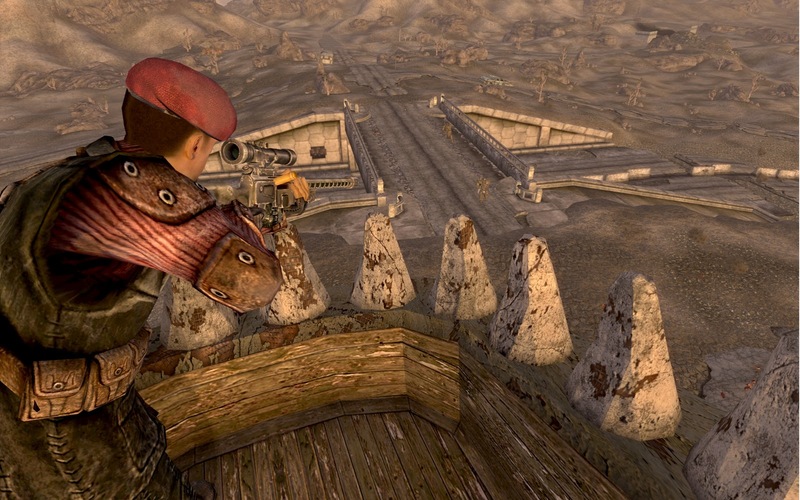 Fallout: New Vegas, the follow-up to Fallout 3 – the 2008 Game of the Year – brings this beloved franchise to a location only Fallout could do justice: Vegas. Fallout: New Vegas takes all the action, humour and post-apocalyptic grime and grit of this legendary series, and raises the stakes. Published by Bethesda Softworks and developed at Obsidian Entertainment, Dead Money will be available for 800 Microsoft points.